Earlier this week I shared a brief video of myself training with what I refer to as a throwing bag. It’s a 115 pound reinforced sandbag that I use for a variety of throwing drills. If you’re familiar with my material, you may recognize it from my sandbag DVD. As you can see, the bag is still going strong after years of abuse. It remains both challenging and incredibly effective, despite the arguably crude and archaic look. I certainly wouldn’t recommend this drill in your front lawn unless you’re eager to get the neighbors dialing the insane asylum. Don’t be fooled by its appearance however. Although it may look crazy, this drill was inspired by science. Before I explain the origins of this exercise, let me first share the video demonstration. As you can see, I begin as if I am shouldering the bag. I don’t stop at the shoulder though. Instead, I thrust the bag overhead with maximal force. I continue back and forth for reps, timed rounds, or as part of a circuit. My inspiration for this exercise came many years ago after reading a translated text from the late Russian sport scientist Yuri Verkhoshansky. Verkhoshansky was one of many knowledgeable researchers who previously published material from the Eastern Bloc. It’s actually somewhat amazing that the vast majority of such research remains incredibly valuable and relevant today. 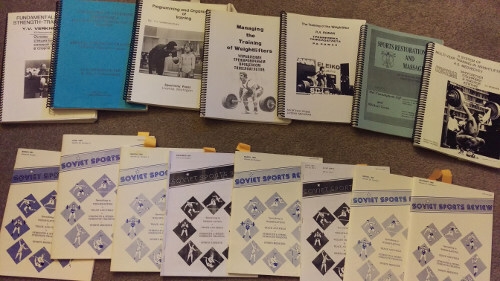 I still find myself often looking back through journals and manuals that were translated from the 1970s and 80s. Verkhoshansky and his peers were light years ahead of their time. As for the throwing bag, the idea came to me after reading Verkhoshansky’s Programming and Organization of Training. Within that text, research was included that detailed the strength needs of combat sport participants such as wrestlers. This need was clearly identified after studying competitions such as the world wrestling championships. During such events, it was noted that technical actions decreased significantly throughout the contest. Therefore, the specific endurance of the athletes was clearly instrumental in the outcome of each match. Following these observations, researchers attempted to model competition matches through a laboratory experiment. As part of the experiment, athletes were instructed to perform 135 throws. These throws were divided into three periods (45 throws per period) to simulate the demands of an actual match. Throughout the experiment, various strength qualities were monitored (ex. maximal force production, explosive strength, starting strength, and strength-endurance). These qualities were observed to determine which was most relevant throughout a contest. To no surprise, the results of the experiment showed that strength-endurance was the strength quality that suffered the most. Despite my obvious respect for Verkhoshansky and his peers, I wanted to find out for myself just how relevant strength-endurance was after performing repeated throws. I was already accustomed to heavy throws for power development, but hadn’t performed heavy throws repeatedly as a conditioning exercise. Needless to say, my early attempts with higher reps proved to be quite humbling. When you throw a moderate to heavy bag continuously, it doesn’t take long for fatigue to set in. It’s one of those exercises that won’t just leave you out of breath, but will also fatigue just about every muscle in your body. The first two are self-explanatory. You can throw the bag for reps or continuously for timed rounds. The third option is perhaps my favorite however. I like to integrate throwing the bag with shadow boxing for a single block of time (ex. 5 or 10 minutes). During that time, I switch back and forth between throwing the bag and throwing punches. I don’t follow a specific rep range. I just switch back and forth randomly with a goal of performing as much work as possible during the allotted time. The physical demands in some ways will replicate an altercation where you are forced to strike and also display explosive strength. It doesn’t take long and can modified countless ways to suit personal preferences. For instance, you could also mix in kicks, sprawls, etc. Each variation will prove challenging as long as you continue to throw the bag regularly throughout the time. Verkhoshansky’s work certainly prompted the light bulb moment that got me testing weighted throws for higher reps. 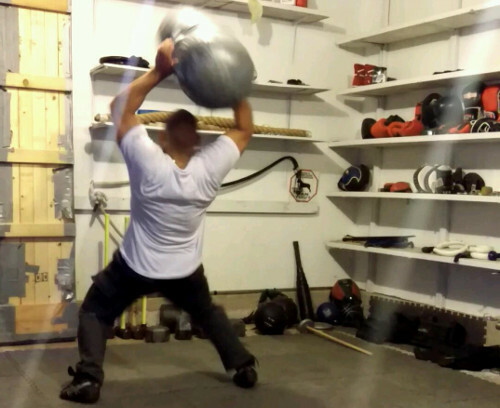 Previously, I had only used weighted throws for power development. I still enjoy such work, but merging power with endurance is a fun way to occasionally mix things up. It doesn’t matter how strong I get, this exercise always proves challenging. In summary, don’t let the archaic appearance of the throwing bag fool you. You’ll be hard pressed to find a more challenging drill. The fact that it can be performed almost anywhere with a minimal investment is icing on the cake. The cheap price tag shouldn’t be confused with inferior value. From a total body conditioning standpoint, this drill can hang with anything you’ll find at even the most state of the art facility. First thanks for the inspiration will give this a go. Second is there a tutorial on making one and what weight should i make it ie half the users bodyweight third jeez I only way 17lb more than that bag. U could hurl me like a rag doll. Yikes! @Jon – I don’t have a tutorial online at the moment. I first showed this particular bag during my sandbag DVD. Within the DVD, I discussed sealing the seams of a homemade bag. The throwing bag is essentially one of those bags which is then wrapped thoroughly in duct tape (a few layers as it takes a beating). Jeez, you make it look easy to throw 115 lbs around. You possess serious strength and agility. Hello Ross. Did you duct tape your sandbag? 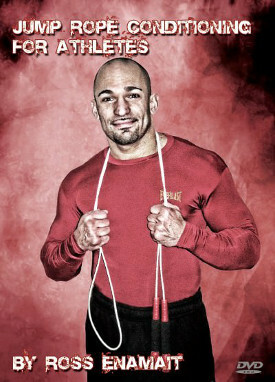 I received my core training and jump roping DVD’s last week and have watched them. I am seriously impressed by your strength and athleticism. The core work is WAY above my current ability, it gives me something to work toward. I like the way you explain the jump roping and make it look easy. I also got your ebook “Untapped Strength”. Do you think that maybe sometime in the near future you could get a publisher and get your books in print? I’m old school and really prefer to read paper, it’s easier on the eyes. I will eventually print out the book. Just a thought. Thank you for all that you do. I am recommending your site to everyone that I think would be interested. Years ago i have included this exercise in my tabata training.